Garrity Tool Company took receipt of two new Okuma machining centers. The MB-4000H is a horizontal 40 taper milling center with a 15,000 RPM spindle, and has an integrated 5th axis rotary for 5-.axis machining. 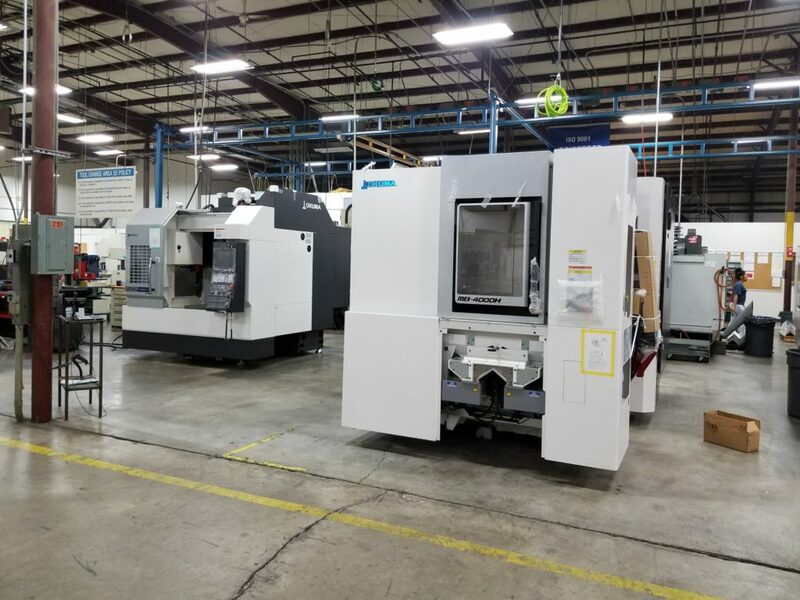 This is GTC’s second MB-4000H, and is expected to open capacity for additional work that ranges from high speed milling of aluminum to taking on 17-4 stainless medical components to high nickel single crystal castings . In addition to the MB-4000H, GTC has received its first Okuma VMC. The M560v has a 50″ x 22″ table. The spindle is a 15,000 rpm spindle. The Okuma M560v is the first bridge style vertical that GTC has purchased. We are looking forward all the efficiency benefits that this work center has to offer.